The ladies are super excited to announce they have gone independent! That means you can now support them on Patreon. 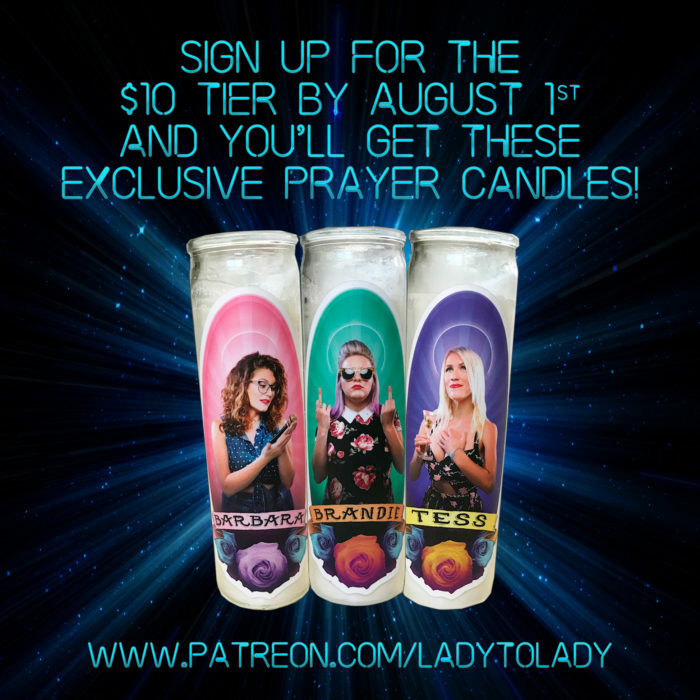 You can get monthly bonus episodes, private episodes and merch including these DOPE PRAYER CANDLES. 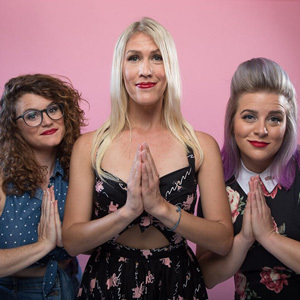 The ladies have a fun time on this one and deep dive into bodily fluids, candy, Erin Brockovich, and their movie name twins. Love Lady to Lady? Subscribe to us on Patreon!